"Spectre" also features Naiad Dynamics Total Ride Control® technology, installed for the first time on a yacht of this type. Originally developed by Naiad for commercial and naval ships, thanks to the collaboration with Mulder Design, this technology was later configured to be installed on board “Spectre”. The active system ensures a significant increase in navigation stability and improved on-board comfort thanks to two roll stabilizing fins, two forward pitch control canards and three independently controlled stern interceptor blades. The words of the Dutch engineer echo those of Giorgio M. Cassetta, who commented: "I love ‘Spectre’: it is a perfect example of a virtuous synthesis between the owners’ and the builder’s cultures. John and Jeanette Staluppi, with their great experience and energy, have led us to imagine a yacht complete with everything you could wish for boats of this size. 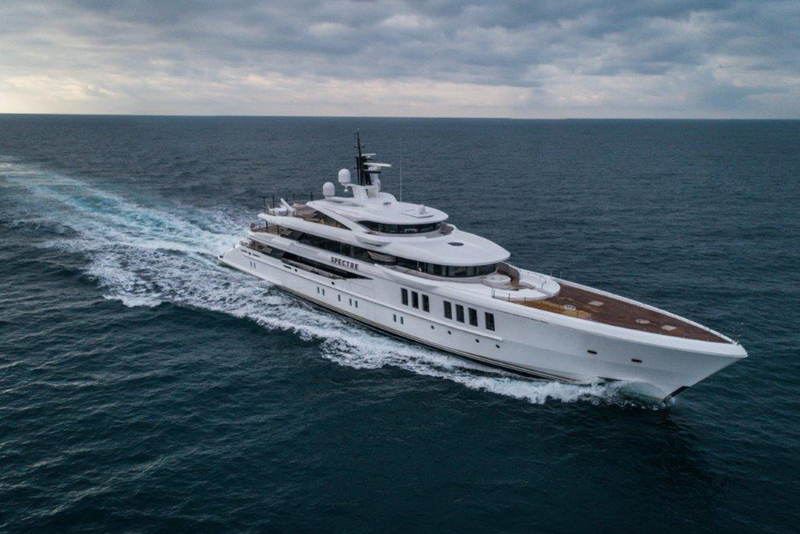 Benetti has taken up the challenge and has created a yacht with many technological innovations respecting the highest quality standards". 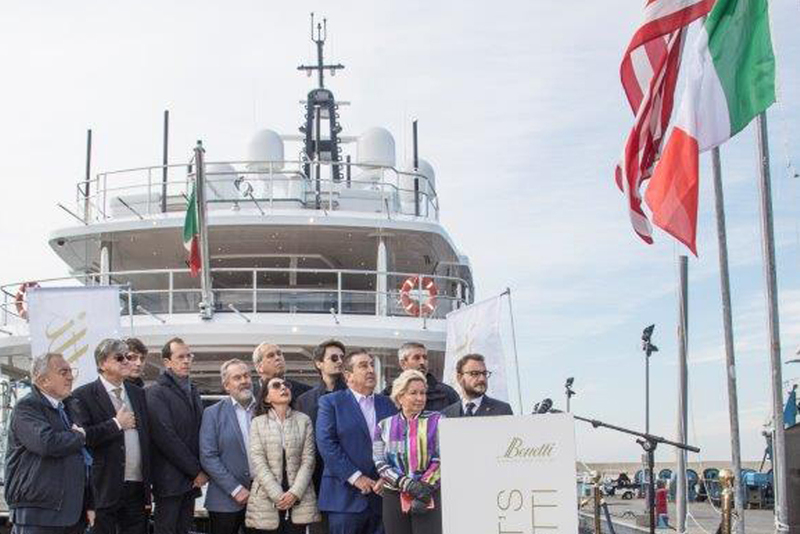 M/Y "Spectre" is, therefore, a yacht that does not go unnoticed for its original concept, and as the result of the efforts of the Benetti staff and the many suppliers who all worked together for approximately 750,000 hours, she will become a new symbol of Made in Italy in the world.